Knedlíky (boiled sliced dumplings) are one of the mainstays of Czech cuisine and are quite often served with meals. They can be wheat or potato based, and are sometimes made from a combination of wheat flour and stale bread or rolls. 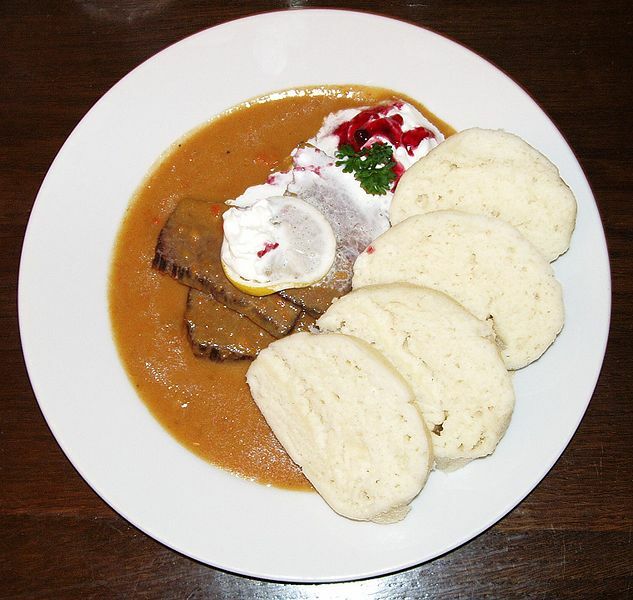 Left: Dumplings served as garnish to Svíčková na smetaně. They are typically large and served cut into slices, in contrast with the smaller dumplings found in Austrian cuisine. Only potato-based dumplings are usually smaller.